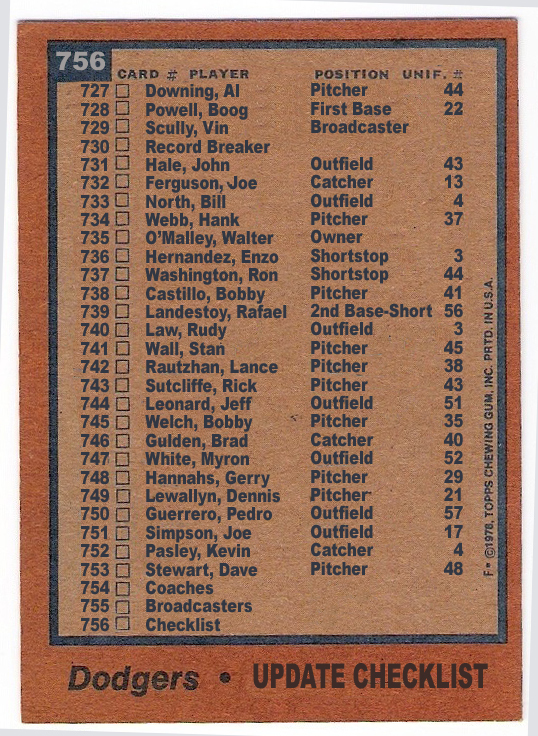 what's a set without a checklist? 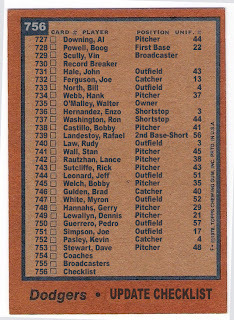 here's the checklist that should have been from my 1978 topps burger king dodgers/update project. 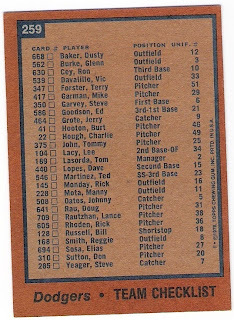 and not the set checklists with their boring yellow backgrounds and endless numbers and text. 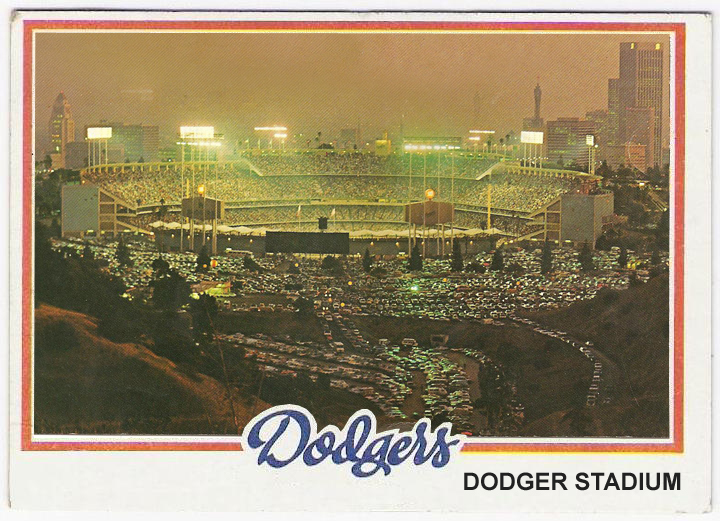 the dodger stadium photo is from the 1976 dodgers photo album. 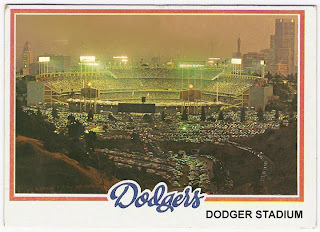 stadium photos are not unheard of in sets, in fact, i've got a post coming up that celebrates the great year dodger stadium had in 2011 sets alone. 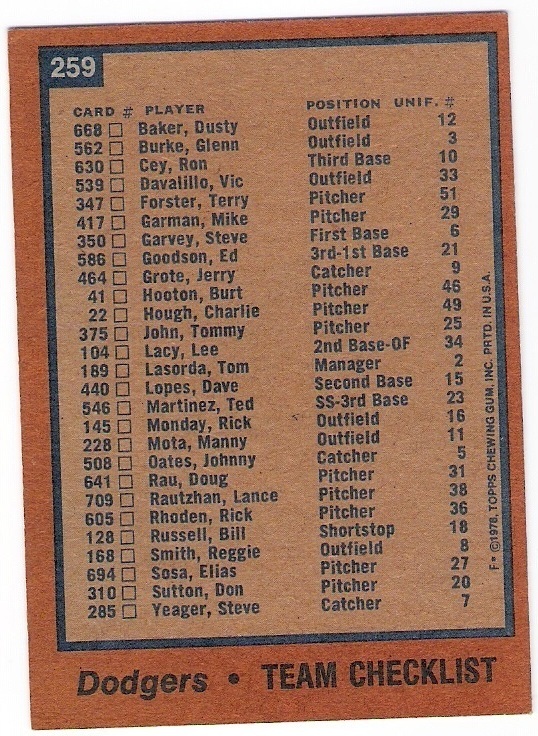 thanks for bearing with me as i relived the 1977/1978 dodger teams and the players that got no love from topps. Great job with the update set. I've really enjoyed following along. very nice... even for dodgers!